When do you need a fall arrest system - how far up do you have to be? Rules and regulations? 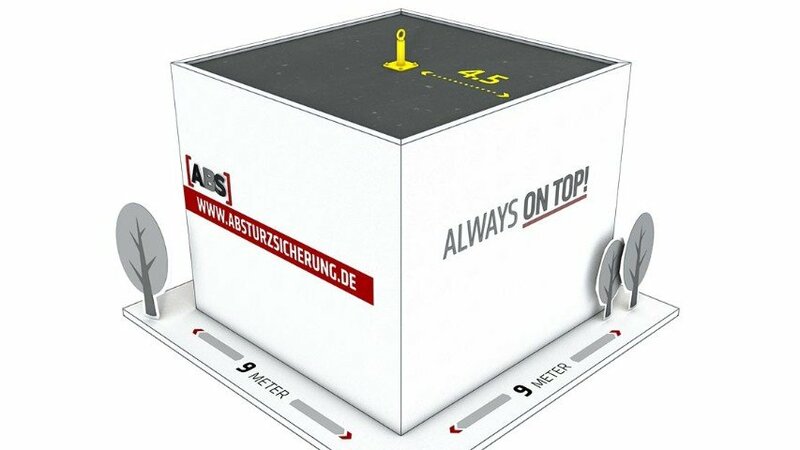 Our ABS Planning Aid shows you how to correctly position your fall arrest system. Should I use a lifeline system or a system of single anchorage points? DIN 4426 “Equipment for building maintenance - safety requirements for workplaces and accesses - design and execution"
Anchorage points are generally installed at points outside the actual fall danger zone. A lifeline system, on the other hand, allows you to get much nearer to the edge as you are permanently secured. The most dangerous spots are always the outer corners where the swinging motion resulting from a fall is at its greatest (the diagonal distance to the corner is larger than the distance to the edge). 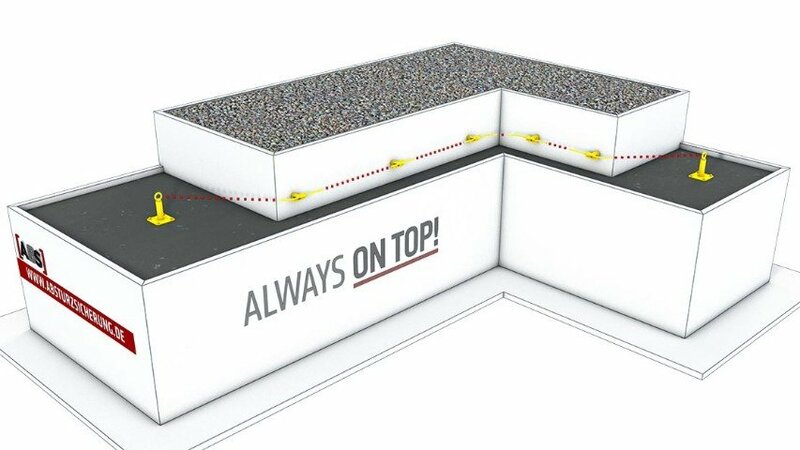 If it is only very rarely necessary to access your roof surface, a single anchorage point solution in combination with a temporary lifeline system is often perfectly adequate. However, if you need to regularly access your roof - or if your roof surface is slippery (e.g. metal or PVC surface with a pitch of 4-5° or more), it is advisable - maybe even crucial - to install a lifeline system. In straight sections, the length of your lanyard is what determines exactly how far you should place your ABS anchorage points from the edge. The lanyard can be accordingly adjusted and shortened to the required length. This means that the anchorage points do not necessarily always have to be the same distance from the edge/edge of the roof. 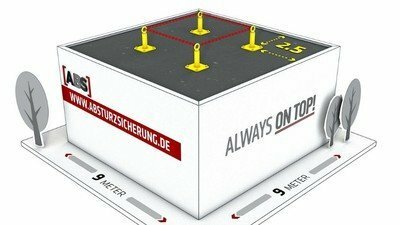 The first thing to do when planning a fall arrest system is, therefore, to ensure that high-danger corners are equipped with suitable anchorage devices. Each of these corner areas is secured using a single anchorage point. The remaining stretch is then divided into sections of max. 7.5 meters. In this example, the lifeline system is installed as a retention system. It is not merely intended to arrest possible falls but to prevent them from happening in the first place. A correctly adjusted lanyard prevents the user from accidentally stepping over the edge. Our ABS Safety lifeline systems offer you a broad selection of temporary and permanent solutions. 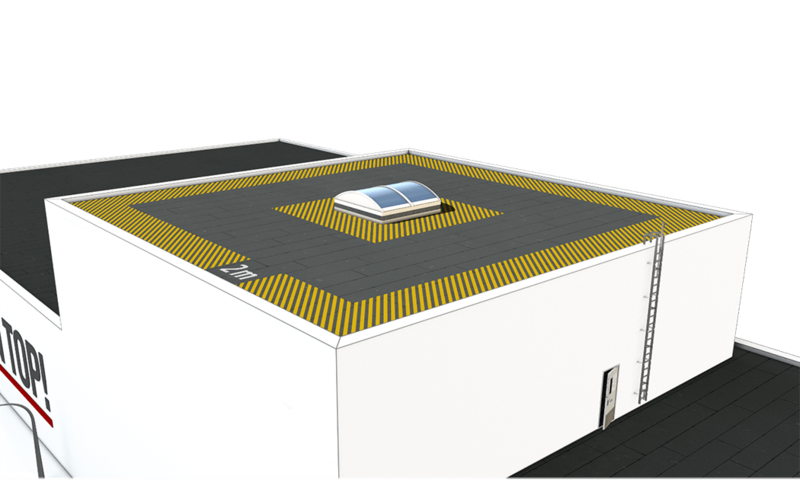 In the illustrated example, a single ABS-Lock anchorage point is located 4.5 meters from the edge of the roof. A user standing at one of the corners will swing a maximum of 1.86 meters if he/she falls. Even when allowing for different body sizes and how much the energy absorber stretches in the case of a fall, the remaining distance to the ground is more than adequate, i.e. the free fall distance is sufficient to prevent an impact. When calculating the fall distance, different factors need to be taken into account: Example: An individual who is 1.80 meters tall falls over an edge. He/she is attached to 2 meters of slack or swinging rope using a standard ABS Safety lanyard equipped with an energy absorber. Through the fall, this connector is stretched an additional 1 meter. We are now talking about a total possible fall distance of 5.80 meters. 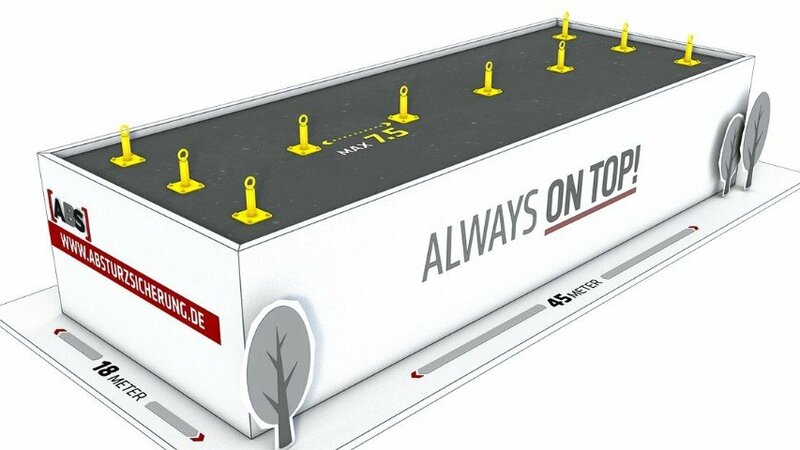 It is crucial to take considerations such as the amount of energy absorber stretch into account when installing your anchorage devices in order to ensure the best possible protection from the lethal impact of a fall.